Last November I left Crytek and took a position at Industrial Light + Magic as a Creature Technical Director; about the only thing that could wrench me away from Frankfurt. I have always been so interested in creatures/anatomy, and, from a young age, considered ILM the best of the best when it came to these. I feel very lucky to be able to join another great team of people, and not only that, but learn so much from them on a daily basis. We are doing another panel on Technical Art Techniques! This time focusing on tools/pipeline issues. Since I am no longer representing Crytek, I will be moderating the panel, but we have added some great speakers this year! I am speaking with my friend/coworker Mathias at FMX, the largest computer graphics conference in Europe. When I arrived at Crytek there were no scripted artist/animator tools, over the next two years we ramped up to many, many tools with thousands of lines of code. The first part of this lecture will be an introductory course on maxscript, showing many tips and tricks for beginners, the rest will serve as an overview of maxscript tools development at Crytek. Slides are posted in the [Tutorial/Slide] section. I have put up a blog where I (when I find the time) will discuss industry trends, art, games, graphics, rigging, math, etc. My musings on general things related to the industry I work in. I have found a lot of blogs of other tech artists in the industry very useful from time to time, and I hope any of my thoughts can be of use to others, as we are all essentially doing the same things in some form or another. The slides for Technical Art Techniques: State of the Industry have been posted, however the media will be added as it is cleared by each respective studio. Slides are posted in the [Tutorial/Slide] section. 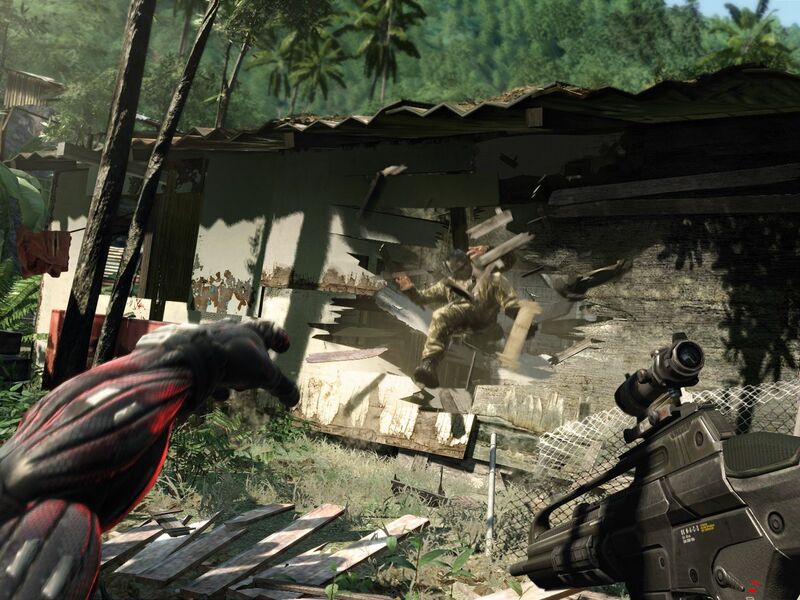 It's official, in the first 45 days we sold over a million copies of Crysis! And only 15% of that was in the US. We localized to many, many, languages and were even the first game to be localized to one or two of them; glad to see it paid off. I can't really say much other than we have been very busy bees, check out the press release here. We should have some really interesting stuff for you to see, so if you're at GDC, swing by booth #6611 in the North Hall. 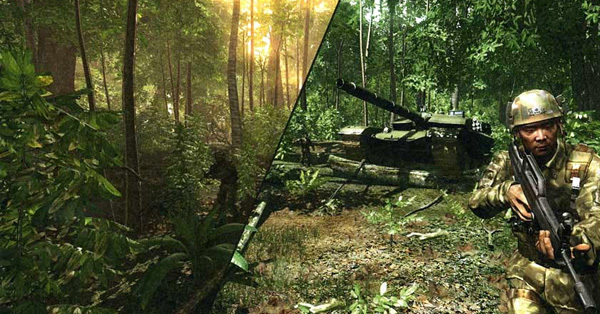 During his SIGGRAPH Keynote, Glen Entis showed some Crysis gameplay as example of the future of realtime graphics in games. 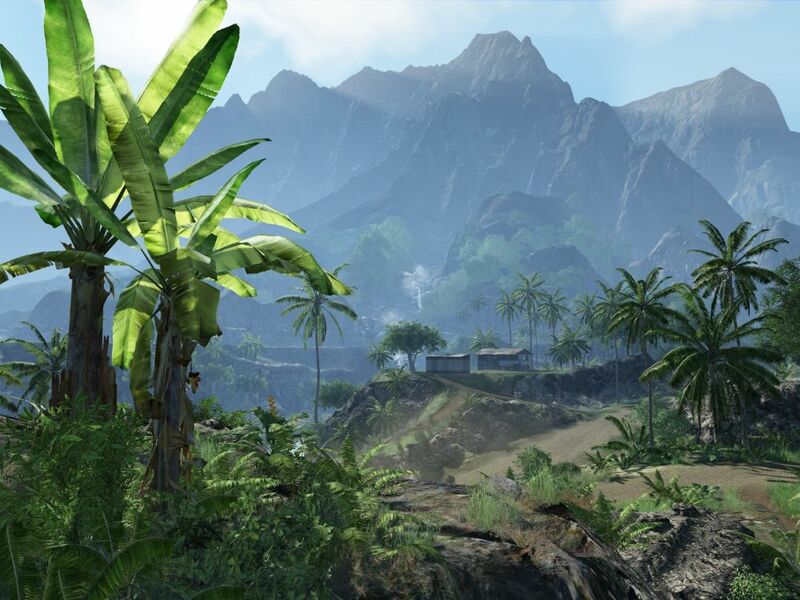 We also had a CryEngine2 piece in the Electronic Theater, which you can watch on our website. 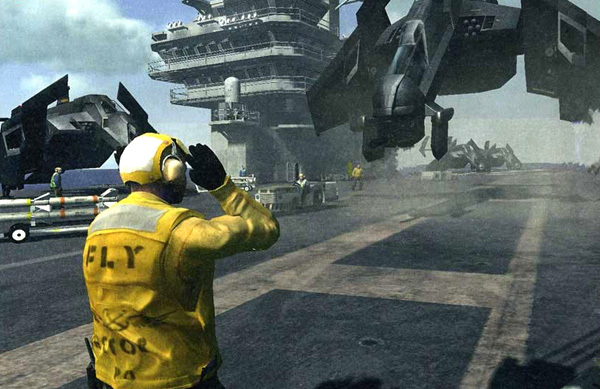 Last but not least, this year marked my tenth year working in the Guerilla Studio at SIGGRAPH. 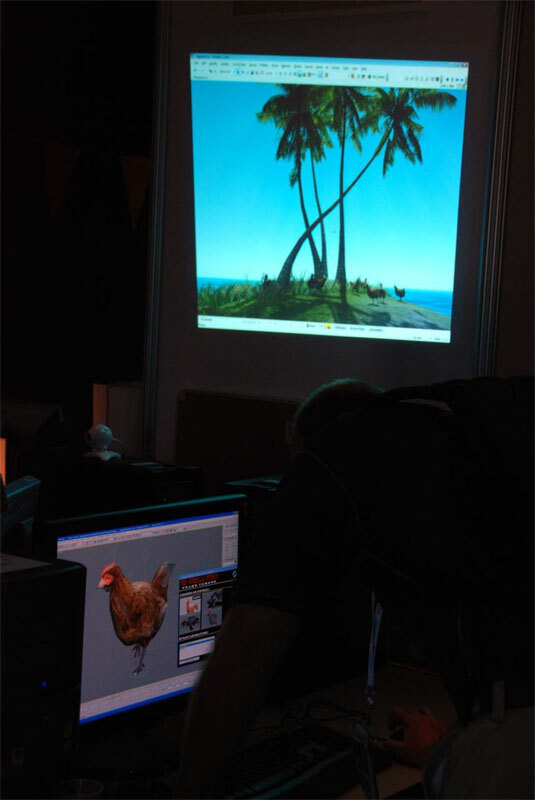 In the Animation Area we had some PCs where people of all ages could come in and animate animals from Crysis, then see them in CryEngine2. This lead to a lot of great collaborative stuff: from crabs walking around on their front claws, to breakdancing chickens. I have also posted the ET and Keynote vids in the [Artwork] section, they are available elsewhere on the internets, but I would rather not hotlink some poor soul. 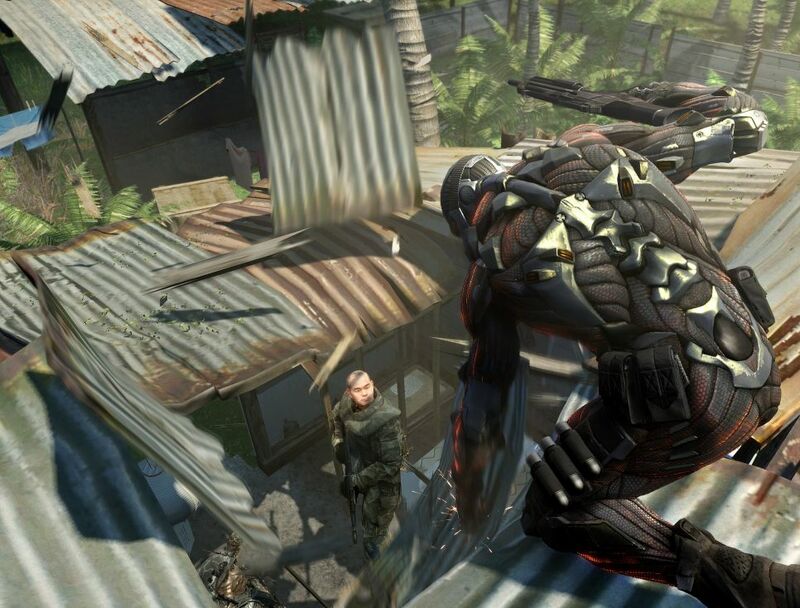 Crysis Wins 'Best PC Game' at E3 and GC! After 10 months I have finally found time to post up slides and video from our GDC presentation: Evolve: Character Pipeline Advances for Next-gen Titles. You can also purchase the accompanying audio from GDC here. I apologize to the people at GDC who were told that ths slides/video would be available 'soon', I would say 30% of the time was getting cleared to release the stuff and 70% was trying to find time to comment the slides with Hanno and package the video. I'll leave you with a screen from Crysis, character by Hanno Hagedorn, Korean arms rigged by our new Tech Artist Dimitry Kachkovsky! You heard that right, I am no longer the only tech artist! 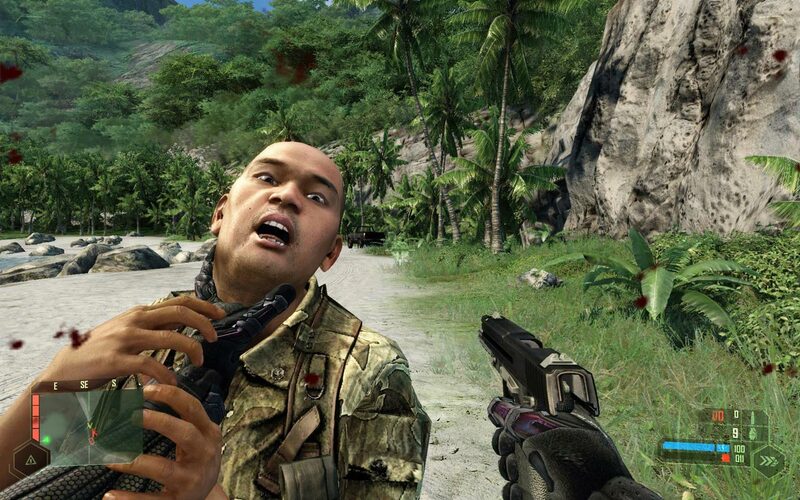 Speaking at GDC 2007, Crysis at CES, Some High Res Screens! My good friend Hanno and I will be giving a talk at the 2007 Game Developers Conference. Our 2 hour session is titled Evolve: Character Pipeline Advances for Next-gen Titles, and we will be discussing a lot of the technology behind Crysis, and CryEngine2. We will cover facial animation, and new solutions for realtime deformation, such as the nano-muscle suit you see in the screens below. They have it listed as one of the 'featured' talks in this months Game Developer magazine, and on the website; kinda freaks me out. We have some great stuff to show; I don't think anyone will be let down. I want to thank everyone who showed up for our GDC Session, the feedback was great! I apologize if you were turned away at the door, the fire marshall is retty strict with the CC, and the room we spoke in was completely packed. I will link to our slides when they are up on the GDC website, they do not mirror video though. I have been told that we (Crytek) will mirror the videos. I will post links when they are available. Hanno and I will be giving a tutorial on "Artist Driven Pipelines" at PixelWorkshop in Vienna next weekend, and we will be speaking at FMX, the european arm of SIGGRAPH May 1rst through 4th on roughly the same topic. The Consumer Electronics SHow is now vying to take the place of E3. Crysis was on the floor in the Microsoft, Nvidia and EA booths, attendees could check out the nano-muscle suit gameplay, and were really amazed; it's as if they thought that videos of the game released before just weren't real, and now that they have their hands on the game, I see a lot of journalists coming to this realization that the game is what they saw in the videos and so much more. I have updated the Musculo-skeletal Reference Library with some papers from the past 2 years; it was a long time coming, thanks to people from cgmuscle.com for prodding me to update it. Crysis at E3, SIGGRAPH 06 News, Japanese Translations! 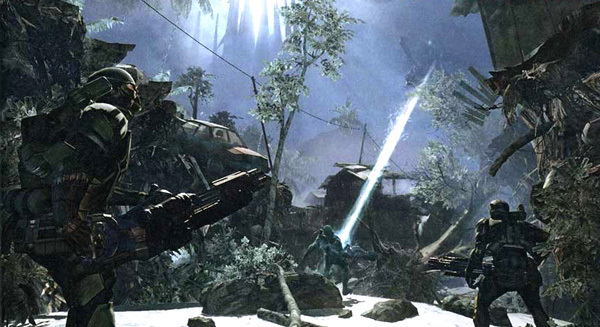 Crysis sweeps 'Tech' and 'Visual' Awards at E3 '06! The E3 conference could be compared to some kind of 'Videogame Oscars', the only catch is: the games don't really exist yet. We had a pretty strong presence at E3, and to my utter surprise we actually came away with just about every 'technology' and 'graphics' award there was. You can check out some of the awards we won at the official game website. Hopefully in the end of Aug at GC you we will be able to show off more gameplay, maybe even pick up some awards for that. I will be heading out to Boston for SIGGRAPH 2006. I will be doing two sessions on 'Animation for Next-Gen Games' in the Guerilla Studio venue, where you (people who sign up, first come first serve) will be able to animate a character and import your work into CryEngine2. Digital Domain, Natural Motion, and others will also be showing off their latest programs/features (Nuke, Endorphin, Morpheme) in Guerilla Studio sessions, you should swing by and check it out. The Guerilla Studio venue is and has always been the place where attendees can check out the latest and greatest equipment and software, and when we say 'check it out' we mean hands on! With free access to virtually every commercial 2D/3D package, and output format, from rapid prototyping to an inkjet printer that prints directly onto your fingernails; it is the place to be. Update: I will also be on a panel with a good friend of mine, Tara, and some others from 2pm to 4pm in room 255 discussing our experiences as digital artists working abroad. It’s not much, but Adobe has a small article on the SIGGRAPH subcommittee/venue I work on, The Guerilla Studio, a place where artists from all over the world can come together and create works in an interactive gallery. I have been a part of the Guerilla team for about 8 years, and every year our venue gets even better, last year I wasn’t involved as much as I would have liked, because of my presentations, but it still went down without a hitch. If you are at SIGGRAPH this year you should swing by and check it out. I just got back from EuroGraphics in Dublin. I really enjoyed the conference, it was a lot smaller and more quaint than SIGGRAPH; a lot less people, and more of an academic bent. Not to mention it was held at Trinity University, and not a convention center; which I really preferred. I had to stick aroung to put out fires at work so I actually missed the first half of the conference, and the three days I was there I didn't get to see much of Dublin, but I had a good time. I met some guys from Sony and I think I will look at working Collada into our pipeline. It is a great way to move assets between apps using one open standard. I know some of you guys really would like me to post more from my muscle sessions at SIGGRAPH, and I am working on it still, but it looks like I might not have time for at least two weeks.. I will try to make some time. I have been very busy lately, but I am so excited. We are implementing a lot of things that I am really passionate about, things that have never been implemented at runtime, especially in games. I will update my site with some things soon, though I have been very bogged down. I am having a good time out here, it's so great to be able to work with talented people to draw out and create new pipelines and tools. I have decided to take a job as Senior Animation TD at Crytek Gmbh in Germany, working on an AAA title for EA Games/Worldwide, which is about all I can say. I am in the R&D dept so don't expect to hear about any work-related things I am up to over here, though they are allowing me to continue work on cgmuscle, if and when i can find the time. It seems like we are all very busy, and that whole thing is languishing. I have added another video in the Research section. It's some pretty basic reference I shot a while ago for the Human Muscular Project, but things like this are a must for any TDs interested in shoulder deformation, I understand people don't always have the resources of a studio to go out and get the reference they need. I am still working on the sequential MRI, I will probably use this guy in the footage, as the MRI will show muscle mass and volume. This past weekend I took some time to code out an idea that I have been kicking around in my head for some time. geoBake.mel is a MEL script that bakes out any polygonal deformation (syFlex cloth, sideBulge muscles, etc..) to a user defined set of morphs, driven by a single slider. Here is a simple video, and here is something more complex. Check it out and tell me what you think, I will be adding to it as I find time, I am currently focusing on getting it to bake extra-skeletal deformation to morph targets in a bind pose throughout a characters motion. This should allow for a joints entire range of motion to be 'baked' and driven by skeletal motion, though instead of blendShapes, I am thinking of baking to Mike Comet's Pose Space Deformation plugin. I have added a Research section to the site. Here I will post some of the medical and musculo-skeletal research I have done. Speaking of which, I have been attempting to rig a realistic shoulder carriage for some time now, but it's hard to know exactly where the scapula is located throughout arm motion. Well this week I actually got a fluoroscopy, and you can check it out on the Research page, I will be using this and some other data (sequential MRIs) for a paper I and some friends are writing on rigging the shoulder carriage -stay tuned! I have been working on some interesting side projects. First, I have been trying to rig a realistic shoulder girdle with scapulae and rhomboids sliding under the skin through hyper-extension, here are some results (modeled by my friend Ryan Vance). We are moving ahead with our open source Maya musculo-skeletal plugin at cgmuscle.com, the new system works with polygons and we have also been talking to Jeng Ching Min, the creator of the Sidebulge plugin, about working with us on the deformer. Lastly, over the weekend I put up a lot of the white papers, abstracts, course/lecture notes and things pertinent to musculo-skeletal rigging and deformation that I have collected over the years into a Muscle Reference Library which is also linked at the right. The SyFlex guys are letting me test out some of the new sySkin and syFlesh add-ons to their famous cloth simulator; I have only been working with the new tools for a few days, but they look very promising [test 170k Divx]. I am leaving tommorow for my first vacation in over two years! I am going to Italy for two weeks, and I am really excited, I can't wait to see the Sistine Ceiling again and the Pieta. 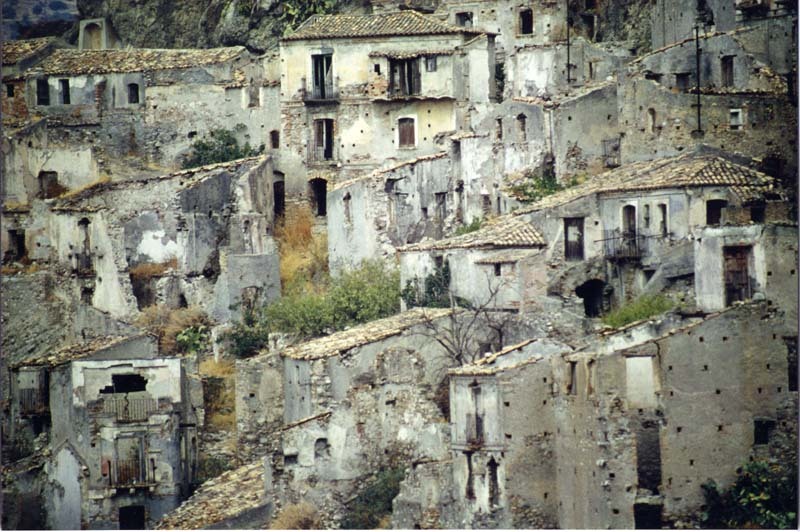 I am also going to Reggio Callabria in the South, to visit the small town of Pentidattilo where my family is from. It should be a great trip. Lastly, in my spare time (when I can find it) I am working with some doctors at the University of Florida Veterinary Medical School simulating the entire equine musculo-skeletal system, much in the way I did on the Human Muscular Project while I was at Kinaesthetic. It's a really interesting project and I am really learning a lot about comparative anatomy, and muscles in large animals. We are generating a lot of great reference with motion capture and high speed cameras. It is a quick and dirty tutorial that deals with emulating complex musculo-skeletal movement and deformation with standard Maya deformation tools. I touch on fusiform and multi-belly muscles, as well as skinning and deformation with wrap and sculpt deformers. I had a great time at SIGGRAPH as usual, thank you to everyone involved, and everyone I worked with on the E-Tech and Studio subcommittees, I had a great time and I will see you all next year! I am finally finished with the Human Musculature Project and things are ramping down. They have asked me to model/rig the skull/muscles of the neck, and some organs, I am just finishing the skull up, you can see it here. A lot of people complain that Lightwave Layout does not show subpatches like modeler does (wireframe shade), and that it's hard to show subd topology on any kind of turntable because of this; no one wants to see the tesselated wireframe. Yesterday I created an lscript for modeler to attempt to remedy this. It's tentative name is 'TurnTabler' and it will rotate your object on any axis, 360 degrees, for any number of 'frames' or iterations for you to record. Here is a video created from it's output. 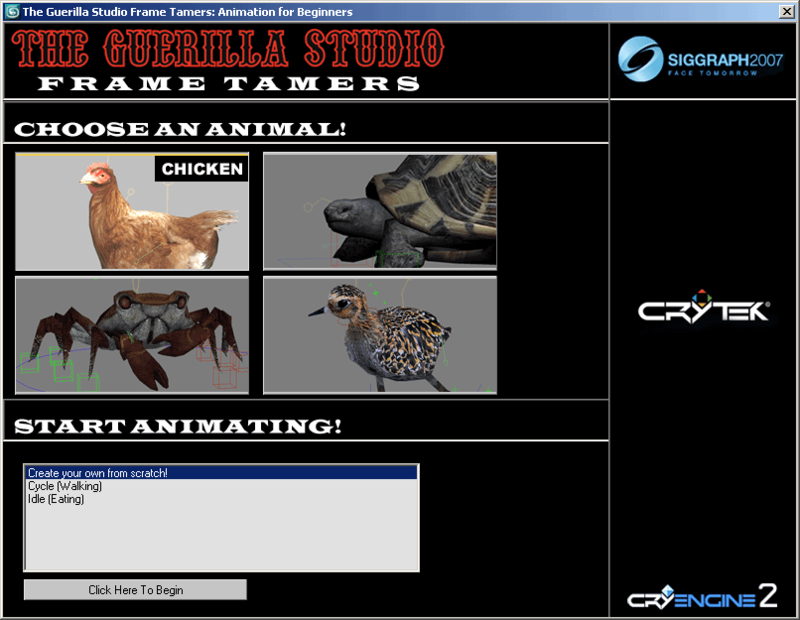 Check it out in the tutorials/files section under 'scripts and goodies'. Update: I have also added an AutoHotKey script to emulate X axis mouse movement, kind of a hack, but a quicker way of spinning the persp view. I also put up some of my Maya MEL scripts that were mirrored on HighEnd3D and elsewhere, now that I am using A2A and various things I don't use the LW exported OBJ import scripts (detach_connected.mel etc..) as much, but things like copy-paste_faces.mel and edge-cutter.mel are still pretty useful. I have updated quite a bit in the past few weekends, first off I finally uploaded my completed hardware tutorial for Building an Xbox/PSX/DC/JAMMA arcade cabinet for those of you looking for my Xbox-JAMMA converter box and multi-console PCB control panel wiring tutorials, look in there as well. I tossed a video of the human musculature rig I have been working on in the Artwork section. The vid shows the rig in motion, from a base OGL bone view, to muscle added and finally a textured/shaded view. It's really coming into it's own, I'm actually somewhat proud of it. Oh yeah, and I also added an About me page, that's about it.